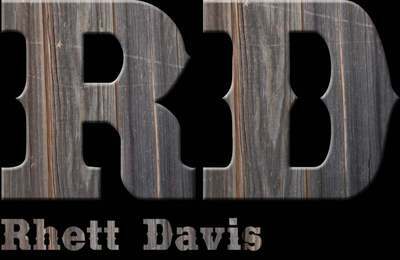 Please check out "THE 5 MINUTE SHOW" under "Songs"
Please call 321-331-0190 or email Rhett at rhett@rhettdavismusic.biz with particulars and contact information. Well, it is always exciting hearing a new song from Rhett, as the words are always so poignant and descriptive, and the music so professional, - and this is no exception, - indeed, I rate this track as one of the best he has so far written and performed. It is a gentle love song, and yet it has power and an ethereal spiritual quality that is rare in much of the music we hear today. I have said this before, and it is very true of this song: Rhett writes lyrics that tell a story, - another rarity in records today, and the words are matched with a beautiful musical accompaniment and superb production. A REAL GEM! "CRIMSON MOON" is a semi-finalist in the Folk/County Category in the 2010 UK Songwriting Contest. This song was carefully examined by expert music industry judges and they gave the award to Rhett Davis for participating in the contest in 2010 and for contributing to its continued success as one of the world's leading international songwriting events. Well, we have come to expect great music from our Canadian singer/songwriter pal Rhett Davis, - but this, CRIMSON MOON passed our expectations. The guy who co-wrote our wedding song with Mike James has pulled out all the stops on this one. It starts off slow and melodic, and gathers momentum without losing it's original magical charm. Rhett writes lyrics as though he is painting with words, and the completed song sent shivers down our spines. Please check out my new song "Crimson Moon"
"Who Is She" placed as a semi-finalist folk/Country division in the UK Songwriting Contest and also along with "It Used To Be" got Honours in the 100% Music Songwritng Contest.